When Lady Mairiana MacKerrick witnesses her fiancé, Alec Lindsay, committing a murder three days before their wedding, she decides she must run away. Darack Grant, secretly an outlaw MacGregor, is on a clandestine mission, but when he finds Mairiana hiding in the stables, he knows he must help her escape. He remembers the lovely lass from their one meeting a few years before. Though he was drawn to her, he always saw her as far beyond his reach. 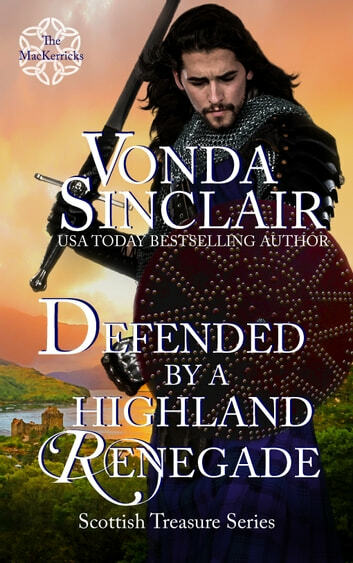 Mairiana finds her hidden inner strength and trusts the Highland renegade to protect her on their journey through the Scottish Highlands. On the way, they find an astonishing passion. But Alec will stop at nothing to reclaim his betrothed and destroy Darack, even pin a murder on him.